Do you have someone on your Holiday gift list that sews, or is just learning to sew? Find the perfect gift idea for that stitcher on your list from our hand-picked projects, perfect for stitchers of all types – garment makers, crafters, and quilters too! 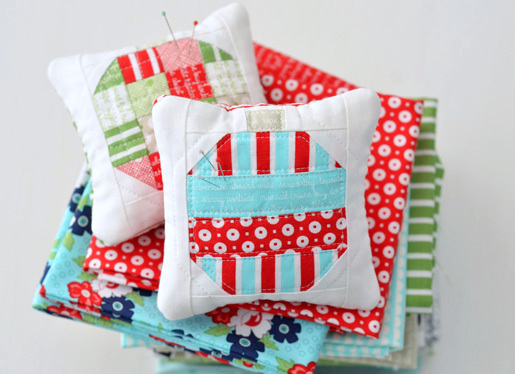 Create a Holiday pincushion with scraps! Get the free DIY Holiday Ornament Pincushion by Camille Roskelley right here at WeAllSew. 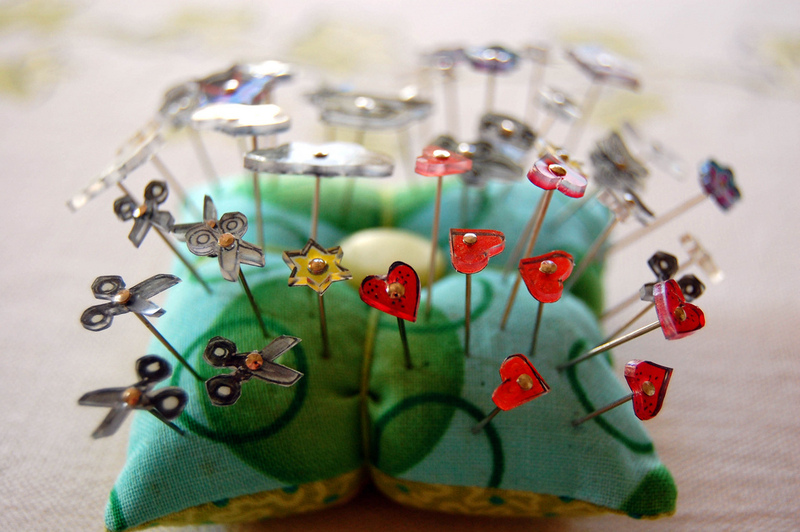 Fill a pincushion with custom pins made with shrink plastic! Find the how-to right here at WeAllSew. 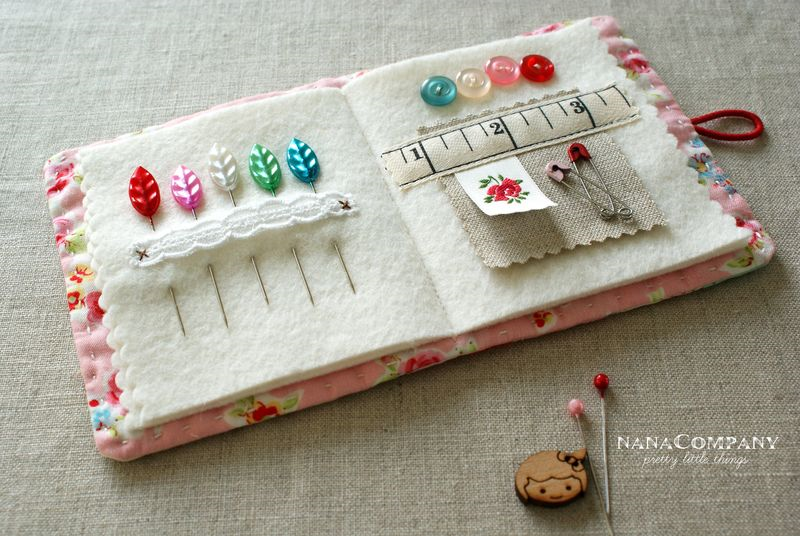 This sweet needle book from Nana Company will keep pins and needles in perfect order. 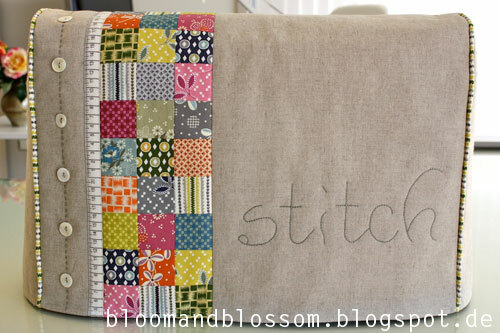 Find the free Needle Book Tutorial here. These clear vinyl pouches are perfect for holding sewing tools and notions, because you can see what’s inside in an instant! 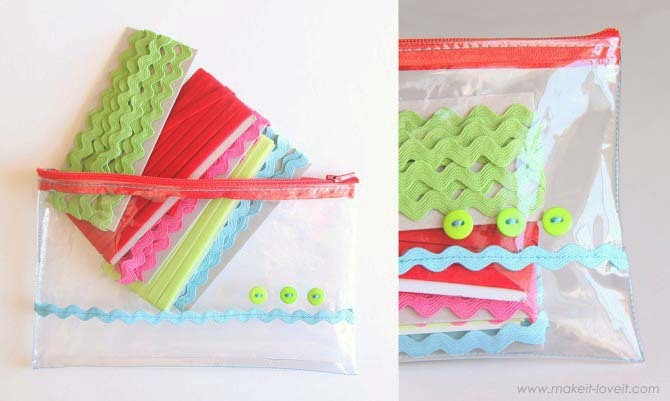 Get the Clear Vinyl Pouches tutorial from Make It and Love It. 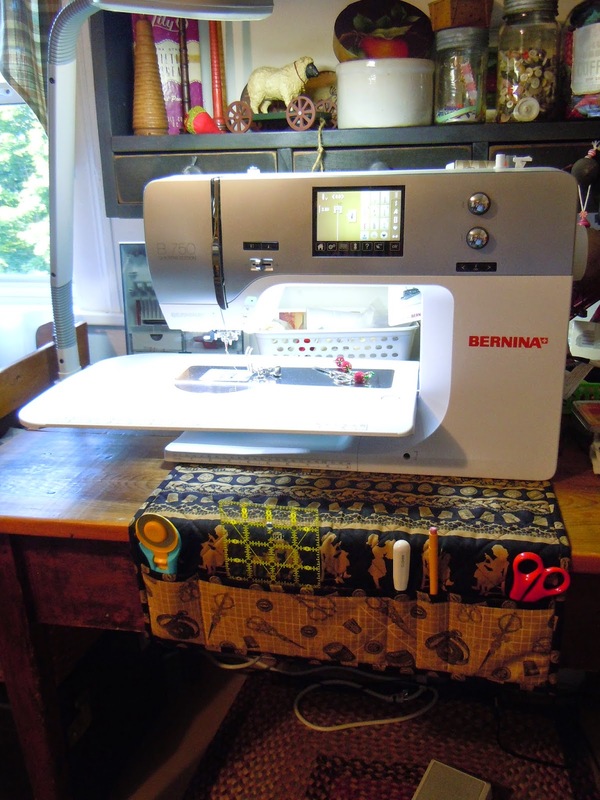 Nothing brightens up a sewing space like a custom sewing machine cover! Make this one from Bloom and Blossom, or pick from 10+ other Free Sewing Machine Cover tutorials at The DIY Dreamer. Make sewing a bit more comfy with this super soft custom chair cushion – and make it extra special by making the cushion match the sewing machine cover project above! 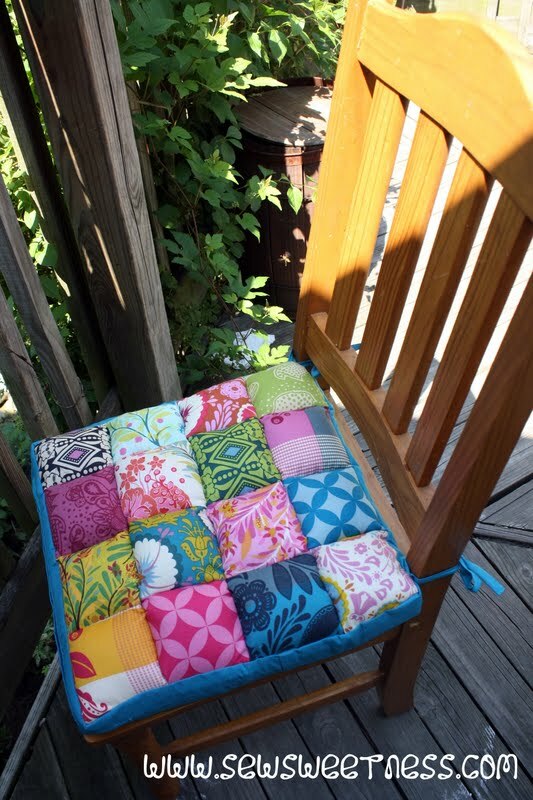 Get the Chair Cushion Tutorial from Sew Sweetness. 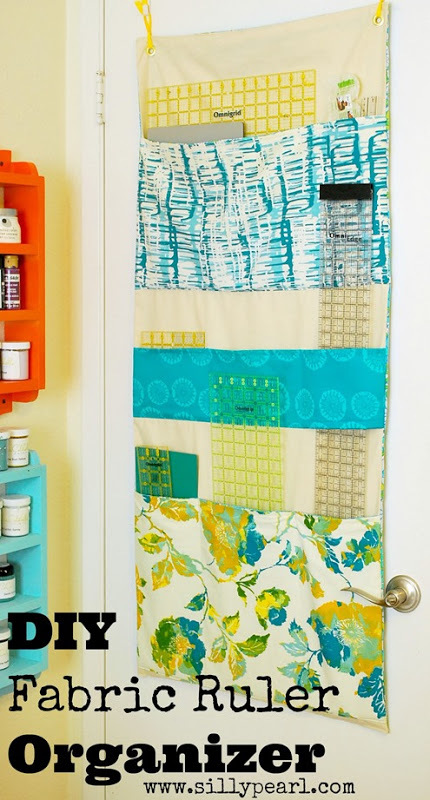 Help keep sewing tools organized with this custom Sewing Machine Mat/Caddy tutorial from The Painted Quilt. Help keep rulers of all sizes in order with the DIY Fabric Ruler Organizer tutorial from Silly Pearl. 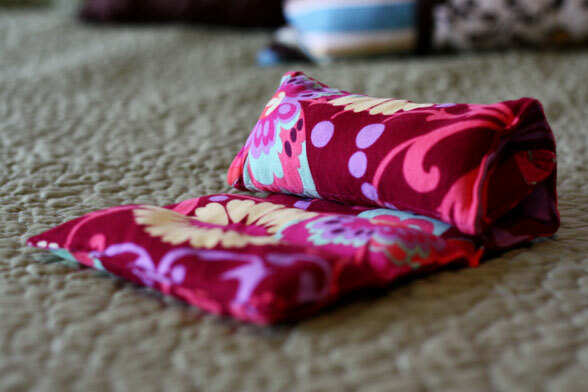 Sometimes hours of sewing can cause sore shoulders or aching backs – and what could be better to relieve sewing pains better than a handmade reusable rice-filled heating pad? Get the Heating Pad tutorial from The Green Wife. Even the most careful stitcher is sometimes in need of a bandage! 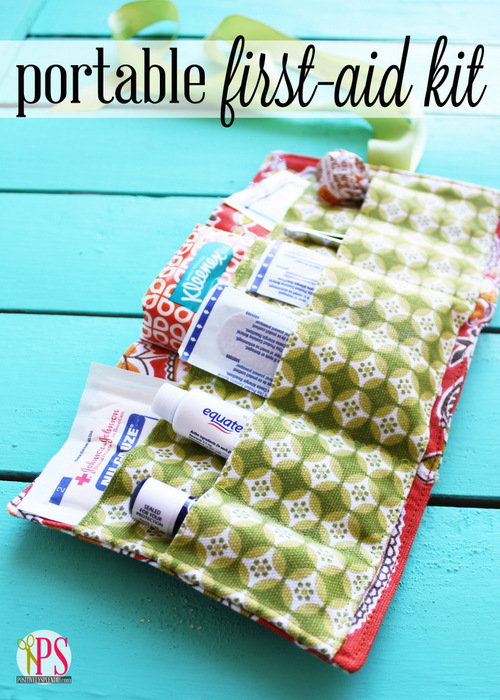 Give your favorite stitcher a custom handmade first-aid kit with Positively Splendid’s Portable First-Aid Kit tutorial. So many great ideas – I need to get busy! I love the sewing organizer…….